The UNSW Defence Research Institute unifies the extensive defence-related research and education strengths of UNSW to develop and deliver next generation defence and security capabilities. We offer comprehensive interdisciplinary research and education services, with particular strengths in cyber, space, artificial intelligence, hypersonics, capability acquisition and management, and conflict studies. The Institute’s world-class research will enhance Australia’s defence capabilities and national security. Visit dri.unsw.edu.au to learn more. 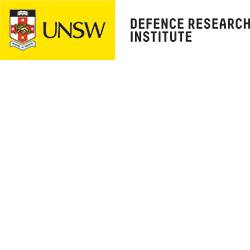 The UNSW Defence Research Institute, headquartered at the Australian Defence Force Academy, leverages UNSW Canberra's unique and long-standing relationship with, and understanding of, the Australian Defence Force to identify and address threats, challenges and capability requirements.